Chris Reeve knives are crafted to the highest standards with the finest materials for excellent edge retention, corrosion resistance, and strength. 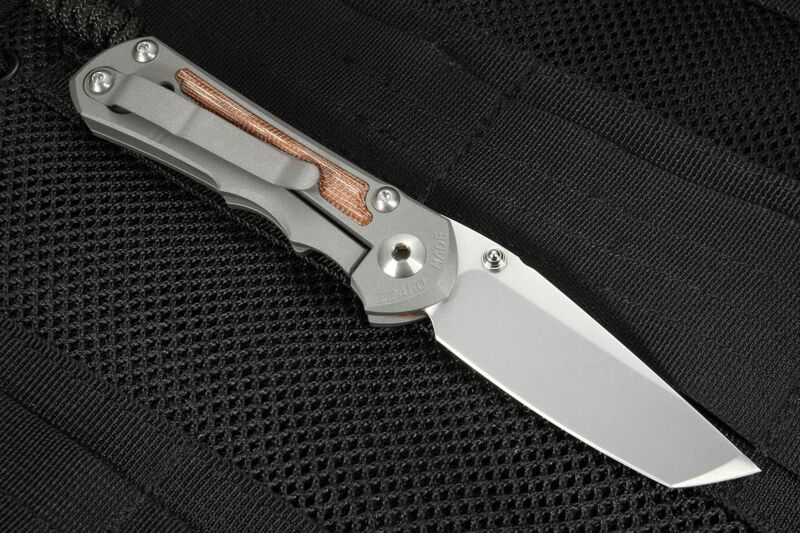 The Inkosi Tanto folding knife series is the 2018 successor to the popular Sebenza 25 model in both large and small size. 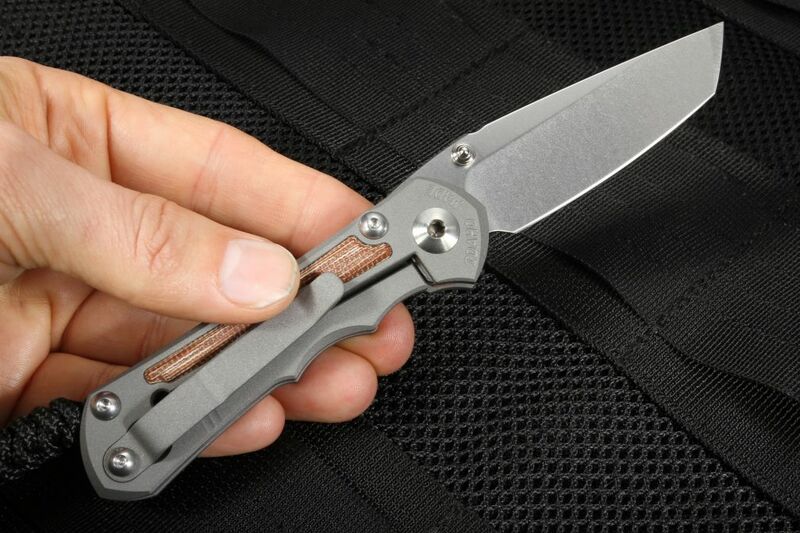 This small version is a great sized pocket knife and ideal for everyday cutting use in the field, camp, shop, and home. 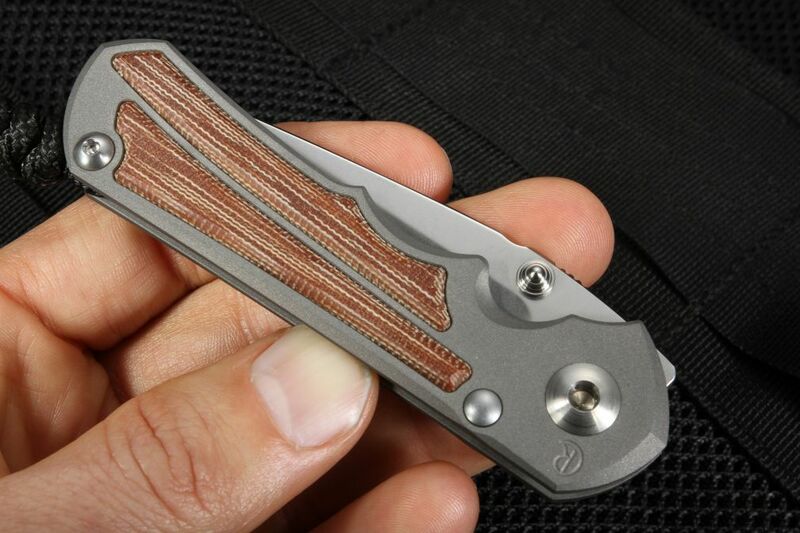 The Inkosi Tanto with Micarta Inlay is attractive, strong and dependable not to fold accidentally with an integral frame locking mechanism, a new ceramic lock insert and heat treated stainless steel stop pin withstand repeated opening and closing. In classic CRK tradition, the small Inkosi Tanto is crafted to take on the toughest tasks. 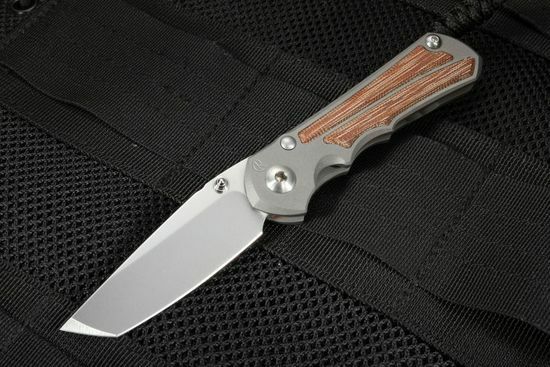 The drop-point blade shape with razor-sharp "Large Hollow Grinds" of 8% thicker (0.128") American-made S35VN steel is heat treated to a Rockwell hardness of RC 59-60 to produce a strong smooth cutting edge. Dual ambidextrous thumb studs are satin finished titanium to withstand repeated use and open to a full length of 6.375" inches easy with either hand. 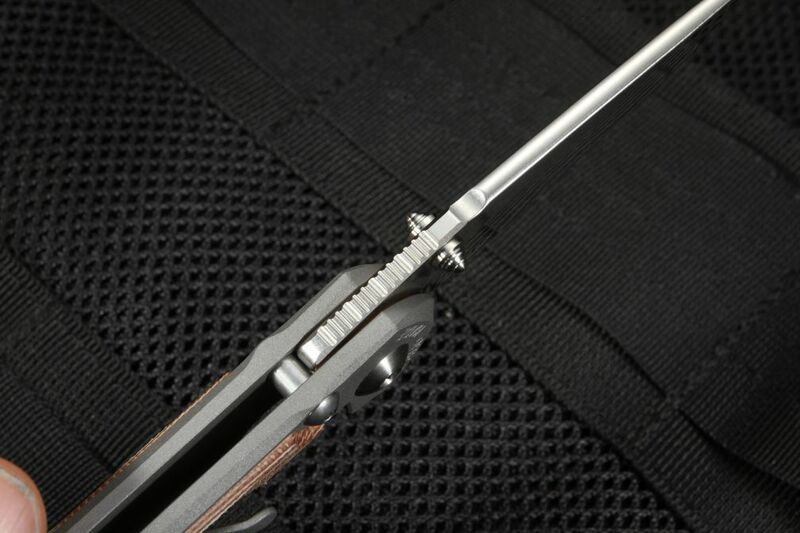 The tanto tip provides excellent piercing and durability to the user. Extra strong in strength and only 3.875" folded with a weight of 3.1 oz makes this an ideal small knife to carry in shirt or pant pocket. 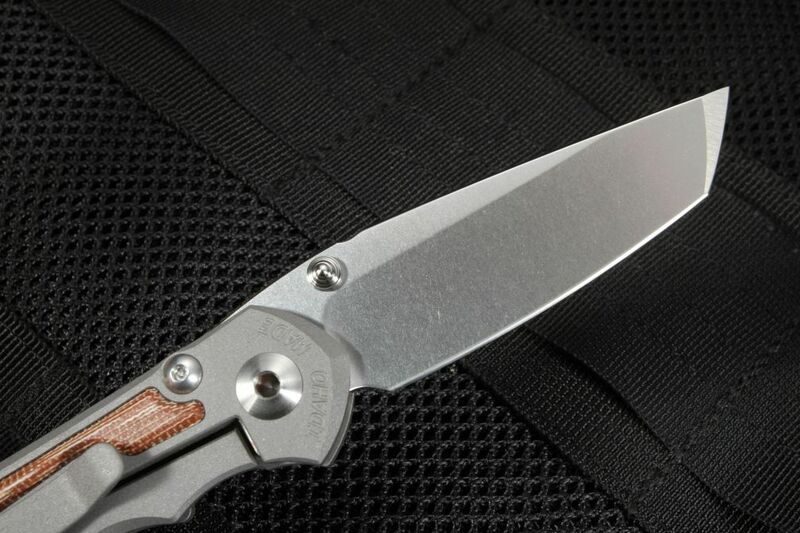 The durable handle is made of blasted titanium with natural canvas micarta inlay for a durable grip. 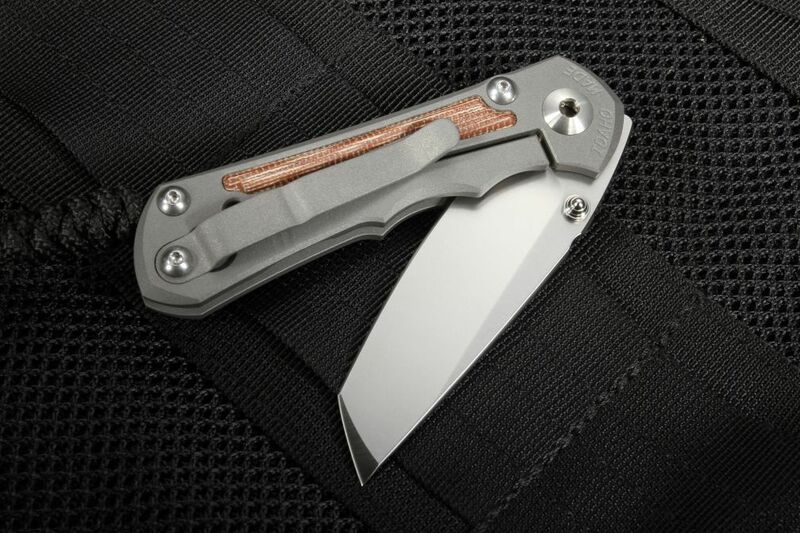 There is also a black cord lanyard attached to the knife and a mounted blasted titanium pocket clip positioned on the handle out of the way of the locking bar. 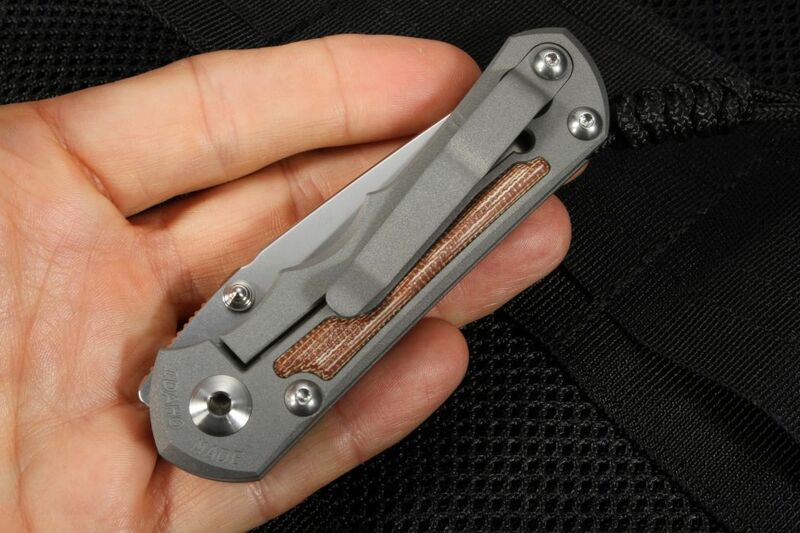 Every Inkosi comes with hex tools for disassembly and cleaning, Loctite, CRK fluorinated grease and a chamois cloth. As an authorized dealer known for carrying only high-end precision gear and elite knives Knife Art, offers a satisfaction guarantee, free shipping, and great customer service. All major credit cards and Paypal are accepted. Plus each CRK knife comes with a lifetime warranty from the manufacturer with repair services available.